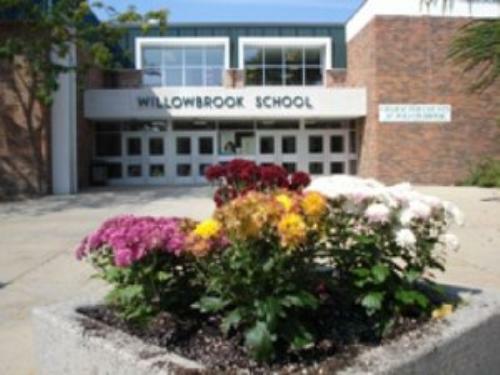 Our Pack is made up of primarily of students from St. Catherine Laboure School and Willowbrook Elementary School--both in Glenview, IL. Cub Scout Pack 154 is sponsored by St Catherine Laboure in Glenview. Pack Meetings and Open House meetings are held in the lunch room at St. Catherine Laboure School. Below is a sample of some of the fun activities offered each year. Hope you can join us! Calling all Scouts! Bring your friends and their families to learn more about Cub Scouts. A great time for new and experienced campers! The whole family is invited to spend the weekend exploring the great outdoors and visiting local sights. Locations and activities vary for each campout. 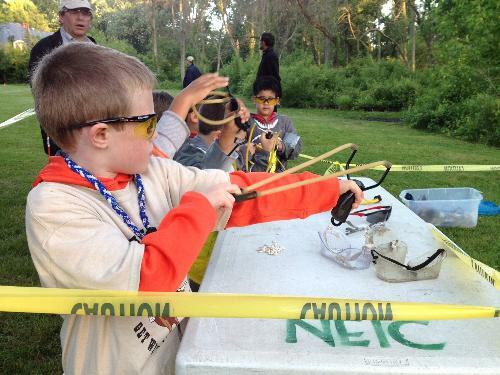 Don't miss the annual Cub Scout event that leaves everyone breathless (literally). 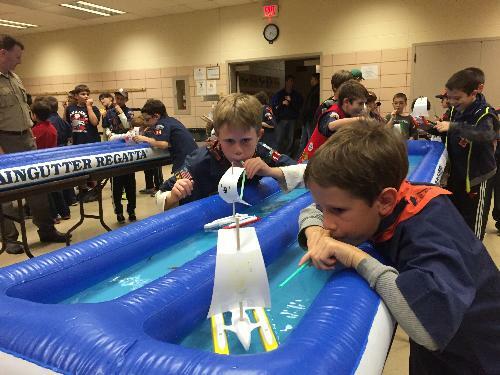 Scouts decorate their racing ships and blow their boats across the open seas! A Cub Scouts favorite! Pinewood derby cars are small wooden models that Cub Scouts make with help from their families. Propelled only by gravity, the cars are raced down a timed track. The Blue & Gold Banquet is the Pack's annual celebration of the Scouting program. The Banquet is open for ALL Scouts and their families. Celebrate the accomplishments of the Scouts, share some laughs over pizza and say "so long" to our Webelos 2 boys who will be moving over to local Boy Scout Troops. Spend the night with your fellow Scouts! Past sleepovers have included sleeping with the fishes at Shedd Aquarium and dozing with the dinosaurs at Field Museum. This year, join us as we snooze on a submarine at the Wisconsin Maritime Museum. Join fellow Cubs Scouts from neighboring dens for a three-day, fun-filled, after-school camp. Scouts rotate through a variety of activities, including bottle rockets, rock climbing, rope bridges, crafts and games. On the third day, the whole family joins the fun for dinner, songs and skits.